Is there anything in particular you can advice me to check when assets don't equal liabilities? I would appreciate it, thank you. Thank you for your question regarding what to do when your balance sheet doesn't balance. This could be due to legitimate bookkeeping errors or attempts at hiding theft or fraud. The first thing I recommend is making sure your bank accounts have been reconciled year to date and that the reconciled amount is the same amount that is showing on the Balance Sheet. If not, you will need to find the bank transaction error. Another very common bookkeeping error that can affect the balance sheet is the incorrect categorization of your assets and liabilities. Make sure that your asset and liability entries were debited and credited correctly. Assets should have a normal Debit balance, while liabilities should have a normal Credit balance. 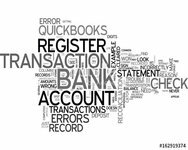 Also, make sure there are no errors of omission such as cash expenses not being reported or inventory and accumulated depreciation adjustments not being made. Join in and write your own page! It's easy to do. How? Simply click here to return to Balance Sheet Questions.